In just four short days I will pack up the boys and head off on yet another fun-filled adventure. We are going to Disney World for a week and everyone is ecstatic. One of the things I do not look forward to is the preparation. Sometimes I wish I just had a magic wand I could wave and it would all be done. 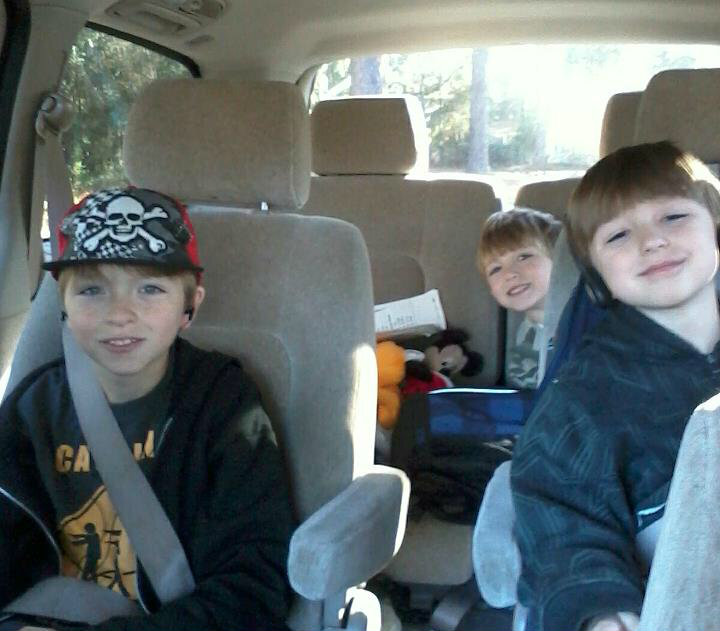 It seems like I have to pack half the house just to get four boys out the door for a week. I thought I would share some of the tips I use when getting ready to travel with the boys to make the trip as painless and fun as possible. It sounds elementary and dumb, but I promise you, I make a list each time I plan a trip with the kids and I use it each and every time. Very rarely will I ever forget anything this way. When you make the list, do it at least a week ahead of time so that you give yourself time to think of anything else that may need to be added. Then, when packing, check off each item as you go down the list. Trust me, lists are good. Forgetting your son's favorite stuffed bear and hearing him cry each night of vacation, not so good. While I am all for being spontaneous, a trip with young children is not really the time to jump on that bandwagon. This doesn't mean that every second of your day needs to be mapped out, but have a general idea of what you want to do on each day and leave some wiggle room if needed. No matter how many times you check the weather, it can still change. If you are traveling in between seasons, pack both warmer and cooler weather clothing just in case. Having a range of travel products available that can "save the day" in different cases like an unexpected rainstorm is a lifesaver. The Quinny travel range offers travel options for today's parents, like perfectly fitting rain covers for your stroller. No matter if you are driving to your destination, flying or just waiting in a lot of lines, children get bored easily. Let's face it, we all know what happens when children get bored. They whine, they cry, they kick, they scream and we end up with migranes. I like to have each child pack their own little bag. It can be filled with whatever they like and what can keep them busy. Maybe a hand held game system with charger, coloring book, toy cars. By letting them back it, you know they are bringing things they like and that can keep them occupied. Snacks are other great things to include. A juice box can go a long way to calming a fussy child that is tired of waiting in line. Have any kid friendly travel tips? I'd love to hear them. *This post is brought to you by Argos. Great tips! Travelling with kids definitely poses some challenges that you don't encounter when travelling by yourself! Kids do get bored easily and their attention span is short so you have to be ready to give them a new activity and quick! Snacks too! Have a great time! I hate taking long trips with the kids. them having to be in their carseats for so long and they just need to get out of the car a lot. I hate that for them. traveling can be so hard. Fabulous tips!! Preparing for the unexpected is the hardest for me. There is always something that happens that I wasn't prepped for LOL! I live by lists and calendars. I don't think it's silly at all. Wonderful tips, especially with the holidays approaching, which means a lot of travel for so many families! Yes, yes, yes and yes. I agree with all of this. This list is on point. Expect the unexpected, unexpected. Those are some really helpful tips. I especially like the last tip.. letting the children carry a backpack full of goodies for themselves is a great idea to keep them busy and entertained.